-Can be used with any UV gel products . 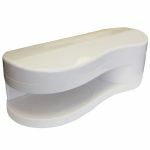 -Perfect for professional and personal nail care uses. 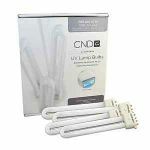 1) Uses one 9W UV Bulb, please replace the bulbs regularly for keeping the efficiency. This UV lamp is disigned for use outside of USA . Where the electric voltage is 220 volt . *This lamp is for None US use ONLY! Voltage standard: 220 volts! This lamp uses UV Bulb 9W Type A.